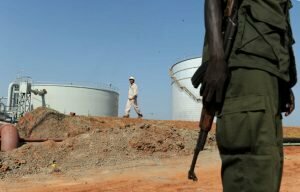 Juba/Pagak, April 1, 2017 (SSNA) – The military command of South Sudanese rebels, the Sudan People’s Liberation Army-In Opposition (SPLA-IO), on Saturday, warned against any oil exploration in areas under its control, saying any attempt by South Sudanese government or its foreign supporters would be met with “serious consequences,” the South Sudan News Agency (SSNA) has learned. “The oil production is coming to an end. We will teach anyone who tries to embrace or advance the ideology of South Sudan President [Salva kiir]. We are a democratic movement ready to free the people of South Sudan from Kiir’s leadership,” a document seen by the SSNA has revealed. “Juba is using oil money to buy arms and then kill civilians, so for that reason, we will never allow any agreement associated with oil being used by Kiir to but arms,” the document further asserted. The warning comes barely two days after South Sudan’s rebel leader Riek Machar Teny ordered the release of two Indian and one Pakistani oil workers who were captured last month by the SPLA-IO. On March 8, the SPLA-IO detained two Indian oil Engineers and claimed that the Engineers were working for the government of South Sudan. South Sudanese rebels have in the past issued numerous warnings against foreign oil companies operating in the greater Upper Nile region. The United Nations and humanitarian organisations have in the past accused South Sudanese government of using oil money to buy arms.